Library, research centre and archive for the Middle East Centre (Zaha Hadid, 2015). This remarkable new building links two Victorian houses on the Woodstock Road, numbers 68, a former vicarage and the original home of the Middle East Centre, and 66, a semi-detached house, enclosing a new quad at the northern end of the college site. Initially known as the Softbridge Building, there is a visible concrete bridge-like structure at its heart, but it is firmly rooted to the ground. 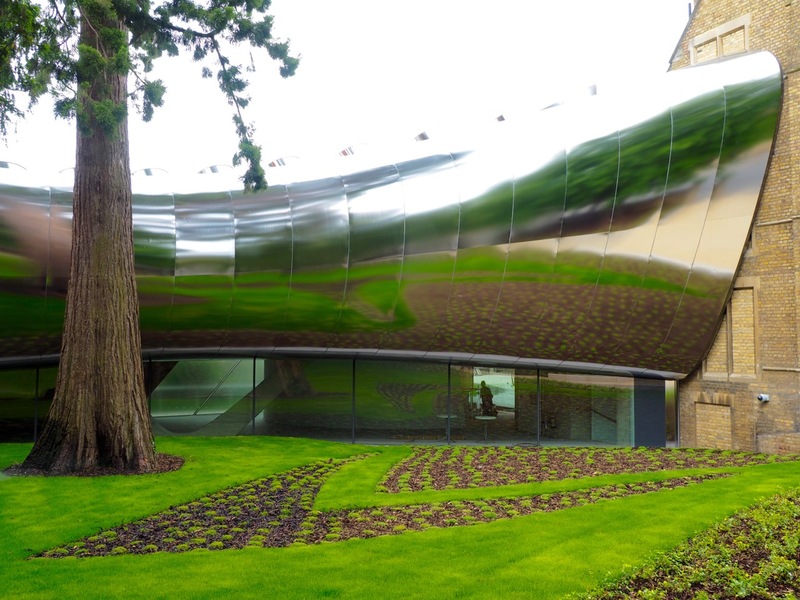 The form and shape of the building are different from every angle, and its stainless steel cladding panels act as an irregular and multiple-curved mirror, reflecting buildings, trees, grass and sky, and people, in the most unexpected ways. This is perhaps fortuitous, as the decision to use stainless steel came late in the design process – it might have been shiny white or dark bronze – but it only adds to the building’s sci-fi quality. This building is so unexpected that it defies conventional interpretation, to the point of being mysterious. 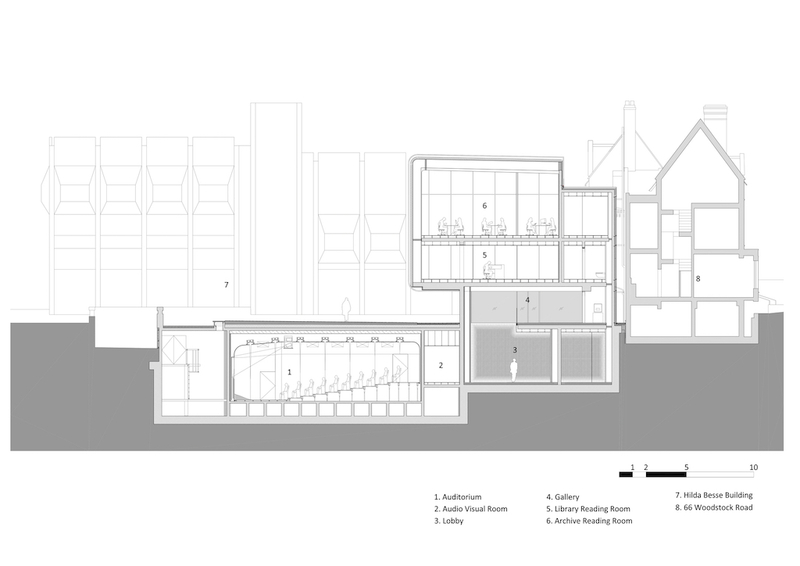 While it provides distinctive spaces for quite conventional uses – an underground archive store and lecture theatre (hidden beneath the quad), library stacks and reading areas – it suggests a radical sense of difference and otherness. 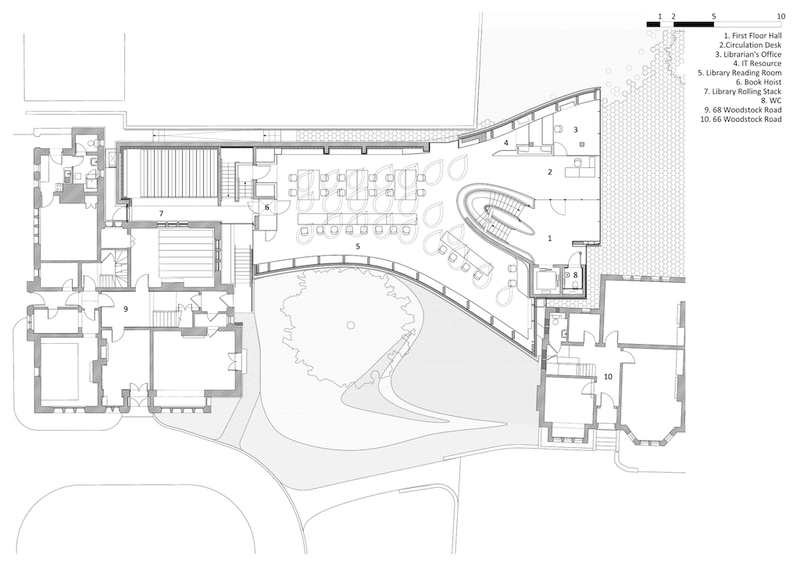 Located in the North Oxford Conservation Area, it met strong local opposition, and yet it won planning approval when a conventional design had been rejected. However you choose to read it, it is already being seen as part of a new wave of radical contemporary architecture in Oxford. 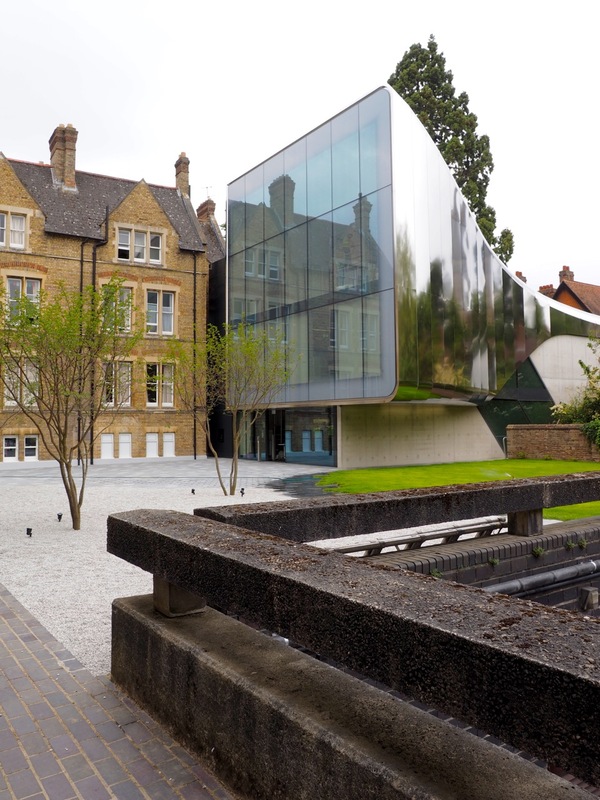 References: Glancey, J., “Zaha Hadid’s Middle East Centre lands in Oxford,” Daily Telegraph, 14 June 2015.